Despite the Mediterranean Sea basin is among the most sensitive areas over the world for climate change and air quality issues, it still remains less studied than the oceanic regions. The domain investigated by the research ship Minerva Uno cruise in Summer 2015 was the Tyrrhenian Sea. An overview on the marine boundary layer (MBL) concentration levels of carbonyl compounds, ozone (O3), and sulfur dioxide (SO2) is reported. The north-western Tyrrhenian Sea samples showed a statistically significant difference in acetone and SO2 concentrations when compared to the south-eastern ones. Acetone and SO2 values were higher in the southern part of the basin; presumably, a blend of natural (including volcanism) and anthropogenic (shipping) sources caused this difference. The mean acetone concentration reached 5.4 μg/m3; formaldehyde and acetaldehyde means were equal to 1.1 μg/m3 and 0.38 μg/m3, respectively. Maximums of 3.0 μg/m3 for formaldehyde and 1.0 μg/m3 for acetaldehyde were detected along the route from Civitavecchia to Fiumicino. These two compounds were also present at levels above the average in proximity of petrol-refining plants on the coast; in fact, formaldehyde reached 1.56 μg/m3 and 1.60 μg/m3, respectively, near Milazzo and Augusta harbors; meanwhile, acetaldehyde was as high as 0.75 μg/m3 at both sites. The levels of formaldehyde agreed with previously reported measurements over Mediterranean Sea and elsewhere; besides, a day/night trend was observed, confirming the importance of photochemical formation for this pollutant. 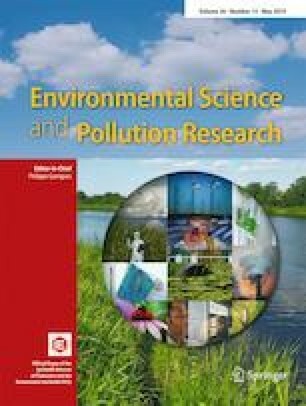 According to this study, Mediterranean Sea basin, which is a closed sea, was confirmed to suffer a high anthropic pressure impacting with diffuse emissions, while natural contribution to pollution could come from volcanic activity, particularly in the south-eastern Tyrrhenian Sea region. We gratefully acknowledge the staff of the RV MINERVA UNO vessel for technical assistance and our colleague dr. Francesca Sprovieri, responsible for the cruise planning and logistics, who shared the automatic analyzers dataset. This work was carried out in the framework of the MED-OCEANOR project funded by the Italian National Research Council (CNR).